This is a precious gems Sukar or Venus is harmonized by diamond. Sukra represents luxuries, partnership wealth, beauty, arts, comforts. jewellery, happiness and vehicles. Solitaire Diamond of Brilliant Cut, Princess Cut, etc.. Available. Post your requirements on Loose Certified Diamonds, specially in white round brilliant cut. All items with certificate of authenticty. 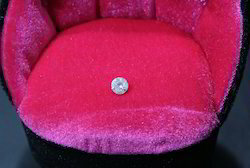 We have in offer Diamond, which is one of the most precious navgraha gemstones. These stones are a fashion symbol in the market and also known for prosperity & good luck. 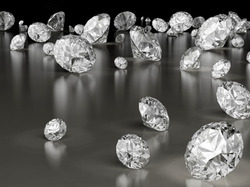 We offer diamonds that are excellent in cut, color, clarity and carat (4 C’s). The name diamond comes from the greek 'adamas', meaning 'invincible' in recognition of its exceptional hardness which makes it resist any form of abrasion by other minerals.